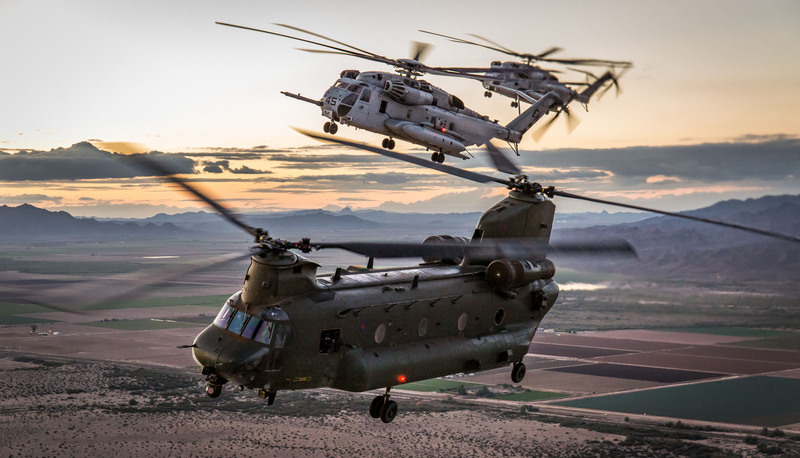 This photo shows a Royal Air Force 27 Squadron Chinook CH-47 helicopter from RAF Odiham flying in formation with two United States Marine Corps CH-53 Sea Stallions in Arizona, USA. Two Royal Air Force Chinook CH-47 helicopters from 27 Sqn, RAF Odiham located in Hampshire (UK), have deployed to Marine Corps Air Station Yuma in Arizona, USA to take part in a twice-a-year training a development programme known as WTI. WTI stands for Weapons and Tactics Instructor, and is a course that aims to develop aircrew - both pilots and NCO's - to an instructional level. It is conducted in the Marine Aviation Weapons and Tactics Squadron One (MAWTS-1) building. Following completion of this, they will then be able to transfer and disseminate these skills to those in their chain of command. Not only are the aircrew trained to instructional level, but they are also able to practise and develop niche skillsets that would normally only be developed in active conflics. An example of this is deploying to a Forward Arming and Refueling Point (FARP) in order to provide rapid refueling and arming to other air and land assets in remote locations, often far from their main operating base. 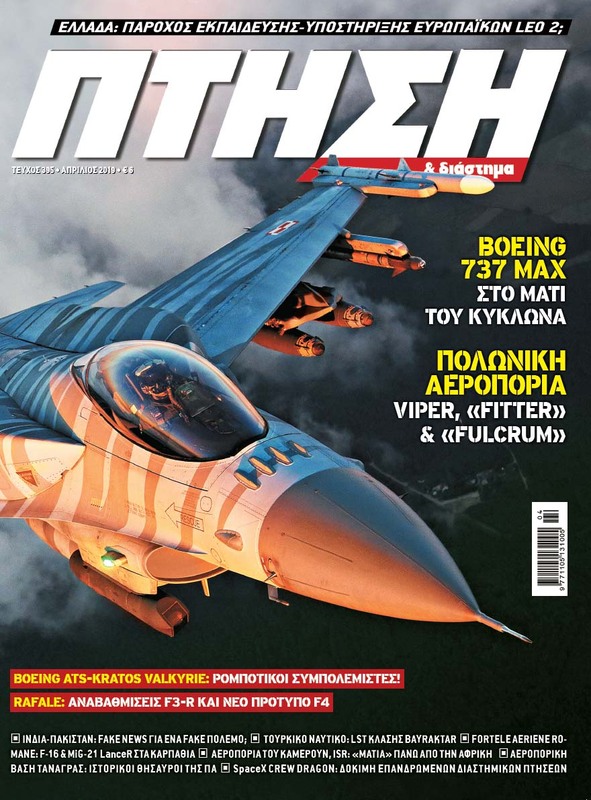 Συμμετοχή της RAF σε WTIC (Weapons Tactics Instructor Course) του Σώματος των Πεζοναυτών. Μάλιστα, τα δικά μας είναι και Zero Emissions.